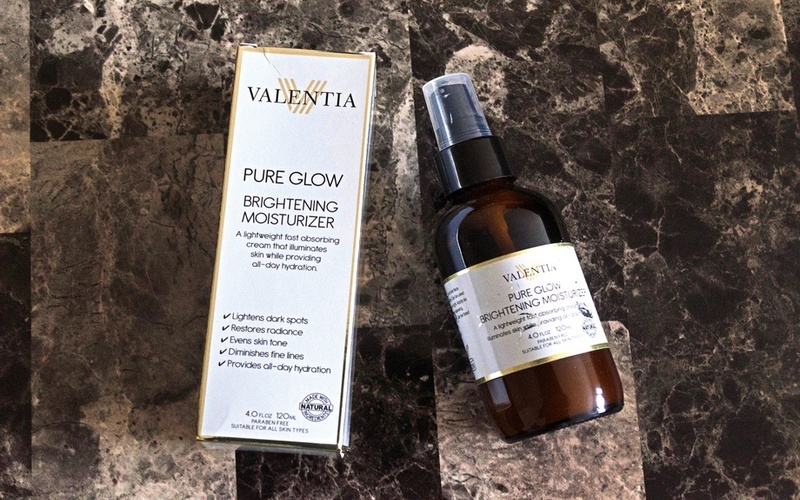 Product and skincare update: On September 15th, 2016, I published a post on Valentia Pure Glow Brightening Moisturizer. I collaborated with Valentia to do a product review. I had some acne scars I was treating with other products but did not see any significant results, so I was excited to try the Pure Glow Brightening Moisturizer. I quickly incorporated it into my skincare regimen. So far, I have used the brightening cream for two months and three weeks, and I love the results. My skincare regimen primarily consists of exfoliating which I do once a day, typically in the morning. Exfoliating is a fantastic skincare treatment; it helps to get rid of dead skin cell, dirt, and oil. It also contributes to preparing your skin for optimal absorption of skincare products. I started using the brightening moisturizer plus exfoliating once a day, and within a week or two, I could see a difference in the way my skin seemed to glow and looked toned. It's a pleasure when you get compliments on your skin without a lick of makeup on; I had to hook up one or two people with a bottle. I use the face moisturizer twice a day. It comes in a 4.0 Fl.oz bottle, and a little goes a long way. I use two pumps, dot the moisturizer all over my face, apply it gently in circular motion and pat it until it is fully absorbed into the skin. 1. Botanical Hyaluronic Acid ~ Floods skin with moisture, Supports skin elasticity, and plumps skin from within. This cream is amazing, and I had to do an update because of the beautiful results I am experiencing. Since I have been using Pure Glow Brightening Moisturizer, my skin tone is more radiant, even toned, dark spots have lightened up significantly, and most important is it provides my oily skin with an all day hydration. This is a product I will purchase again, and I hope they don't change the formula because it is working. Have you tried Valentia Pure Glow Brightening Cream before? Subscribe for more beauty product reviews.